Mom, What's For Dinner? 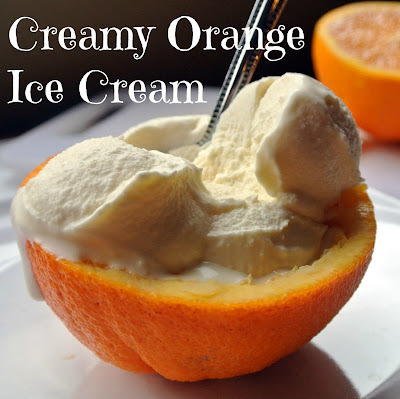 : Creamy Orange Ice Cream and a Giveaway! Creamy Orange Ice Cream and a Giveaway! 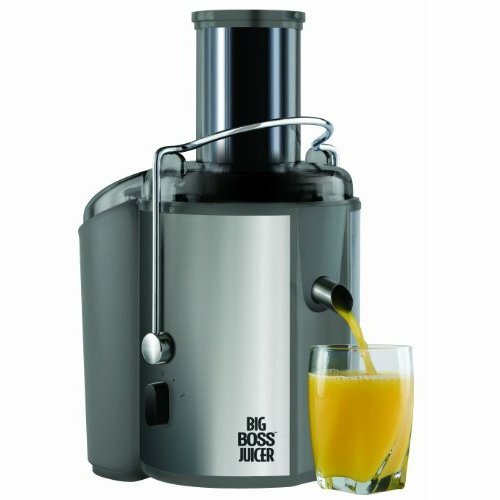 Have you heard of the Big Boss Juicer? Big Boss is the perfect name for this bad boy! For my faithful readers, you all know I recently had a very terrible reaction to limes. Now knowing I have phytophotodermatitis, this is a lifesaver for me. You can all your fruit whole. Even Oranges! You just scrub your fruit or veggies, plop them in, and tada! I love this juicer! 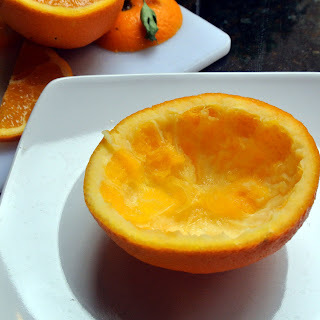 I have had juicers in the past that could not handle oranges, and I had to peel them and so forth. This one does it all. 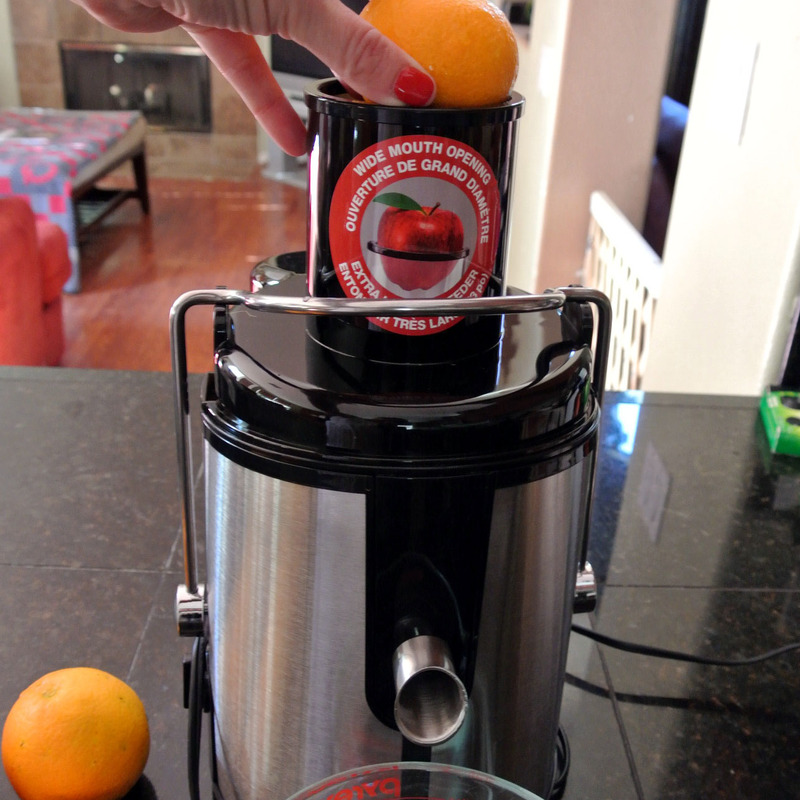 I love the suction cups on the bottom that keep the juicer stable during the juicing process. There are so many benefits to juicing fruits and veggies. It boosts energy, Reduces sugar cravings, Improves digestive track, helps lose weight, increases vitality and so forth. Stay tuned after today's recipe to see how you can WIN A BIG BOSS JUICER! Oranges are in season in my backyard. My tree is bursting, so I was very eager to give this bad boy a try. It used to take me forever to juice my oranges. Now it is a matter of seconds. I realize a lot of people don't think of ice cream this time of year. Well we are in the 80's this weekend, so Ice cream it is! This is my husbands favorite ice cream recipe. 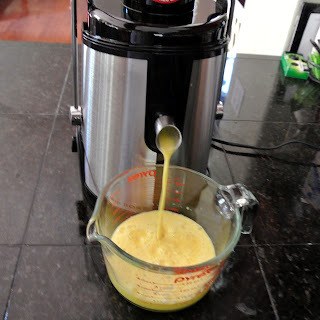 After the recipe, I will give you the rules on how to win the Big Boss Juicer! 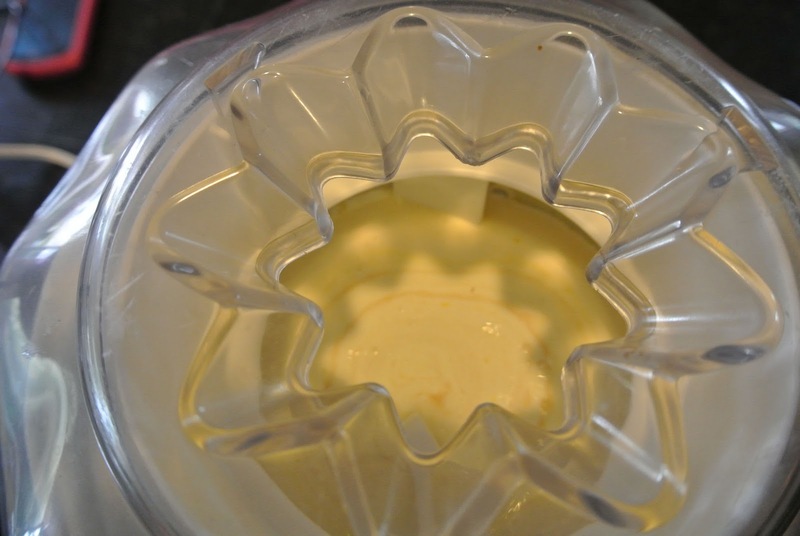 Add all ingredients to your prepared ice cream maker. Turn it on. 20-30 minutes later, you have amazing ice cream. 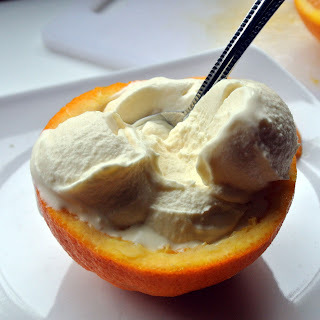 I like to hollow out a few oranges to serve the ice cream in. You can store the ice cream in a freezer safe container. Now if the recipe wasn't good enough. I have something even better! That is right! You can win your own Big Boss Juicer Recipes and User Guide! Let me tell you a little bit about the benefits of having one of these Juicers. First; It has 2 Variable Speeds for Both Soft and Hard Produce Like Spinach, Watermelon, Oranges, Carrots & Apples, Second; it has a Wide Mouth Opening for Large Produce. Which means you can put in whole produce, no more peeling and slicing! 3rd; It is Completely Dishwasher Safe! For those of you that don't win, add this baby to your Christmas list. You can buy your own HERE. This Giveaway is open to readers 18 years or older with U.S. or Canada shipping addresses only. No purchase necessary to enter or win. Winners are generated via the random number generator software program. Winners must respond within 5 days or the prize will be forfeited. You can enter 3 different ways. You can do one or all 3. Please remember you have to come back and comment below because that is the way the winner is calculated through random.org. Follow me on Twitter and Tweet this giveaway, Leave a comment below saying you did. LIKE me on Facebook and Share this post on your Facebook Wall. Leave a comment below saying you did. Follow me on Pinterest and Repin the giveaway and Leave a comment below saying you did. This giveaway will run for 7 days starting Sunday November 25th ending Sunday December 2nd. Winner to be announced December 3rd!. Stay tuned! I have a lot of great giveaways coming your way! shared for you. Thanks for the chances to win. 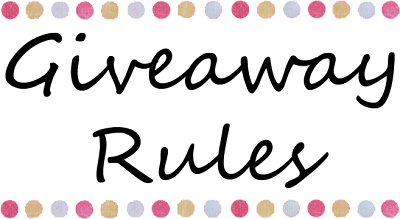 I follow you on Pinterest and like you on FB! I "like" you already and I shared. I follow you already and I retweeted. I follow all your boards and I pinned. This comment is for @SowingStitches she can't comment, something wrong with her browser, She tweeted and posted on fb and tried to comment, so this is a placeholder for her entry. ...and I followed you via Twitter. I be @PonyoPip. Ah, if only I had pinterest. But I haven't, and probably won't. 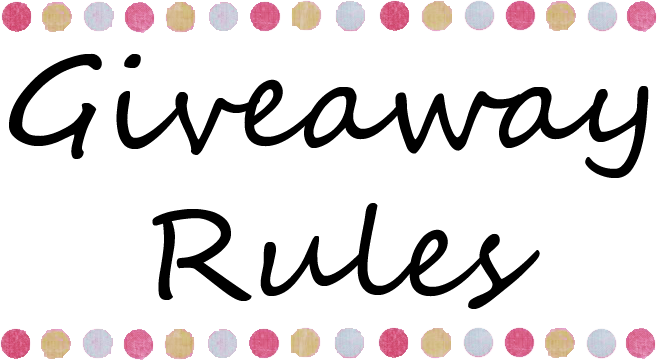 liked/followed on FB, twitter, & pinterest... shared, tweeted, & repinned! Liked you on Facebook and shared. Wow, what a great giveaway! I like you on Facebook & shared this post. Italian Sausage and Kale Soup and a Giveaway!